With interior taped seams, a waterproof fabric, and waterproof or covered zippers, the Straight Chuter from Mountain Hardwear is one of the burliest softshell jackets we’ve seen to date. 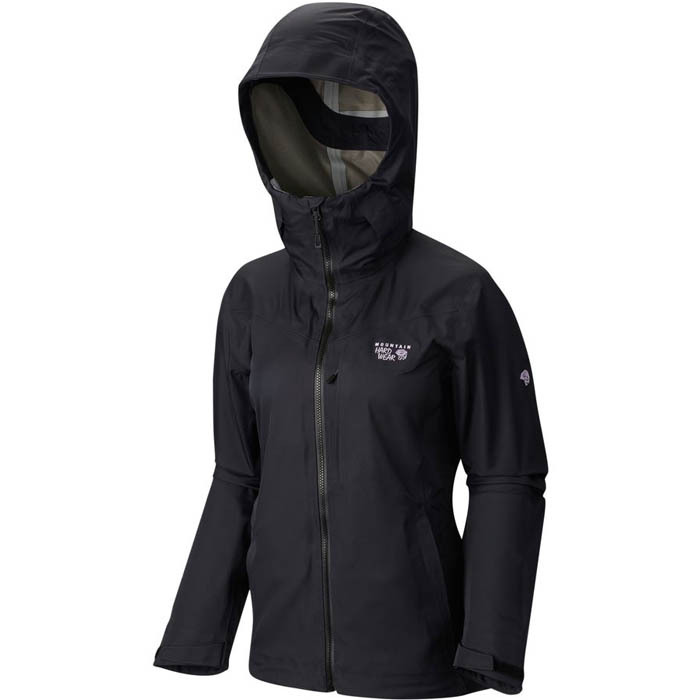 Whether it’s a deluge of water from a waterfall or exposure to rain and wind over a period of time, this jacket stands strong. It dances next to the line of hardshell, but still does wet out, eventually. 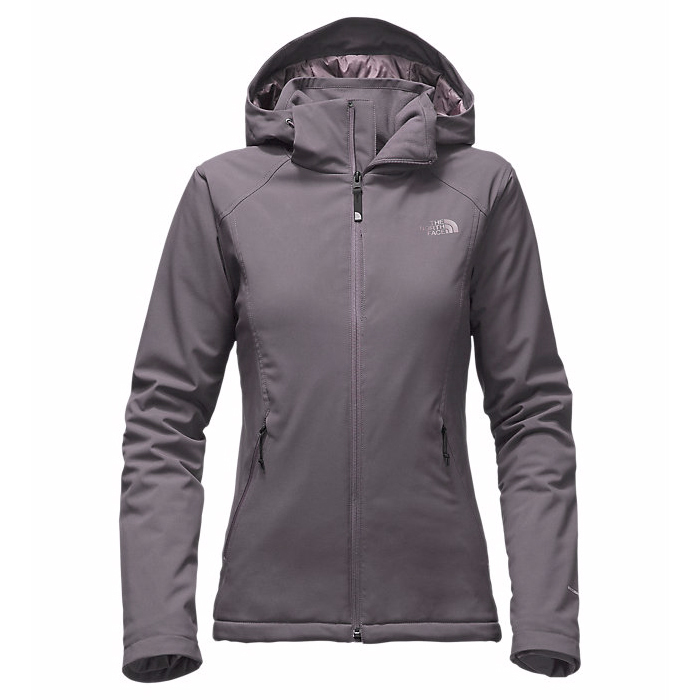 The breathability and elasticity is, of course, lessened due to the increased protection, but both are still present making it more comfortable in activity over a hardshell. 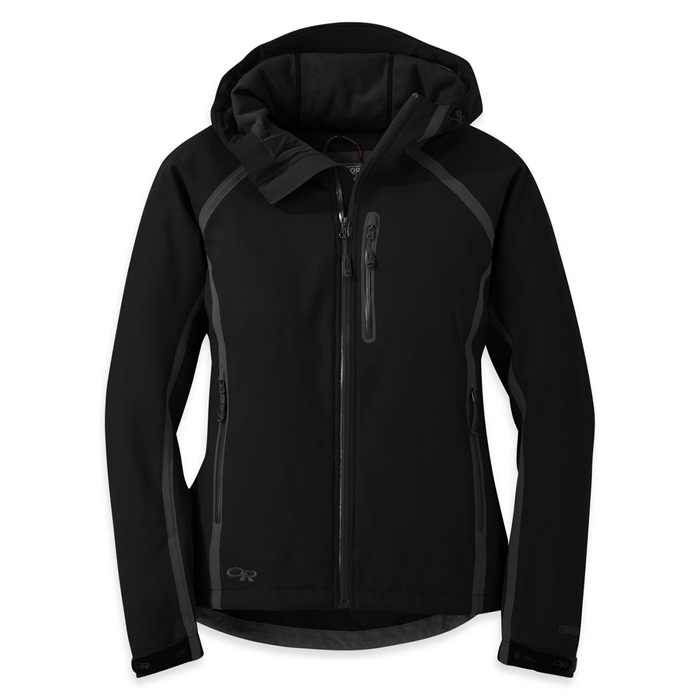 To compensate, Mountain Hardwear added underarm zippers and elastic adjustments around the hem and hood, but it still will feel a tad stiffer than the classic softshell jacket. For the ski bums, the Straight Chuter gives you some additional features. 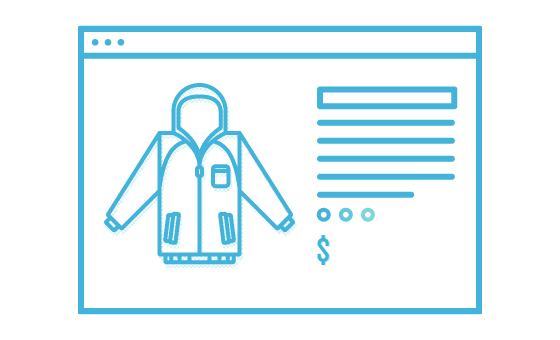 A snow skirt and a multitude of pockets, including a stash pocket in left arm that works well for lift passes, a loose pocket in the interior that houses a glass cleaner, and there is even a hole to run your headphones through in the chest stash pocket. And for those that may face avalanche conditions, there is a RECCO reflector embedded in the lining. 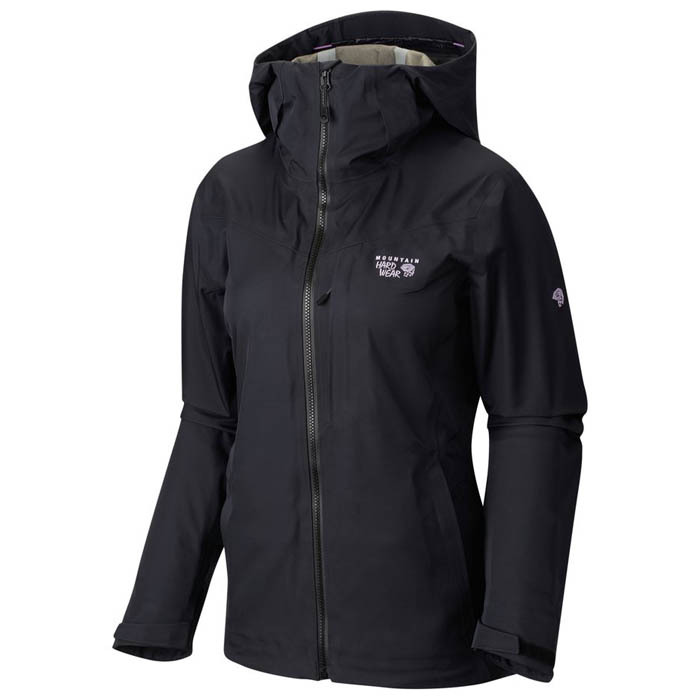 Field Notes: We threw this women’s softshell jacket into rainstorms, windstorms, snowstorms, and even a waterfall. We tested it through robust physical activity and periods of rest in between. Mountain Hardwear did not disappoint as this jacket went from one challenge to the next and didn’t blink. We immersed it in water, hung it out to dry, and it was bone dry the next morning. The material just didn’t want to get or stay wet. 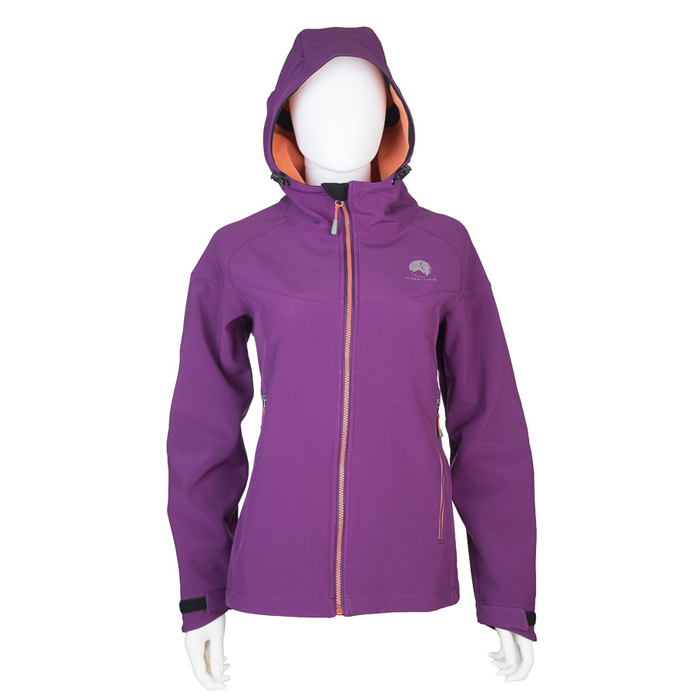 Plus, the stretch and soft feel of the fabric are remarkable considering its level of performance against the weather. 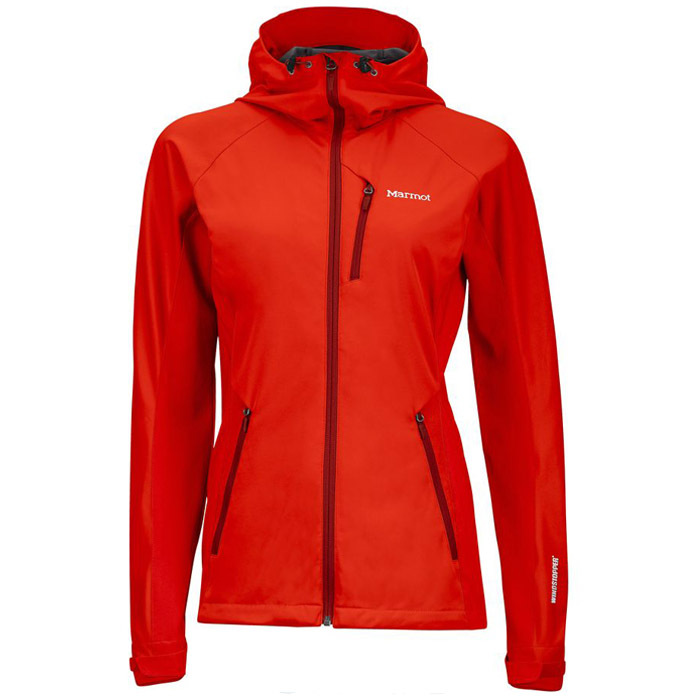 The Mountain Hardwear Straight Chuter Jacket is closer to a hardshell jacket than any other Active Junky evaluated in this buyer’s guide. 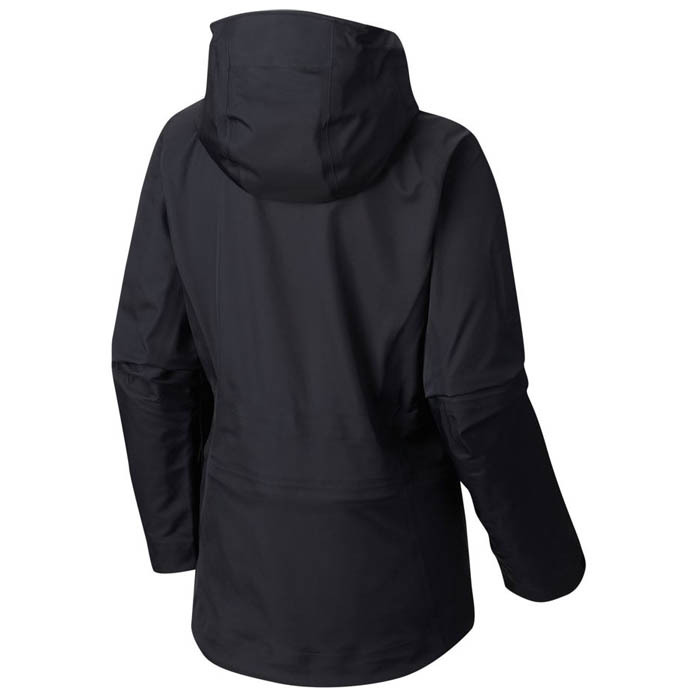 The Dry Q fabric is layered to combine materials with varying properties into a single shield protecting against the elements, whether in the backcountry or on the slopes. Sticking it to mother nature! Our pick for prolonged exposure to rain and snow.